Must Read Mysteries: Kathi Daley's Grimm's Furry Tail Release Day and Giveaway! Kathi Daley's Grimm's Furry Tail Release Day and Giveaway! 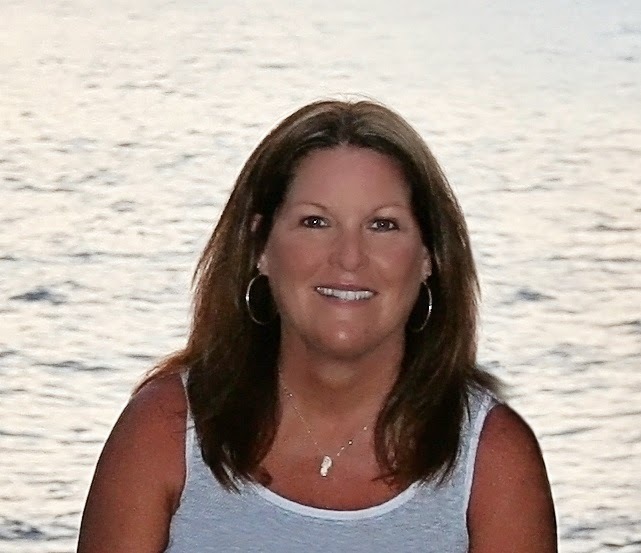 UPDATE: Congratulations to Michelle F.! 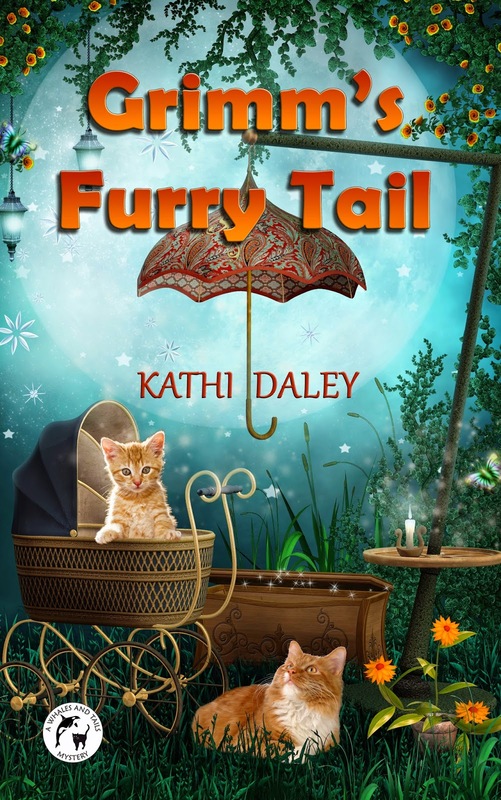 You're the winner of a copy of Grimm's Furry Tail by Kathi Daley. We'll be in touch to arrange delivery! Today is release day for the talented Kathi Daley's latest, Grimm's Furry Tail, book 3 in her Whales and Tails series!! We are celebrating by hosting a great giveaway from Kathi - one personalized signed copy of the book! From Amazon: A cozy mystery series set on Madrona Island, a fictional island within the San Juan Islands off the coast of Washington State. As a fourth generation islander Caitlin Hart is struggling to make her way as the economy and culture of the island evolves toward a tourism based industry. Cait lives in a cabin on her aunt's oceanfront estate where she helps her aunt run Harthaven Cat Sanctuary. When she isn't working with the cats, she helps best friend Tara, operate the coffee bar/bookstore/cat lounge they own, named Coffee Cat Books. In the third book in the series Cait’s friend Cody buys the old newspaper and discovers a previously unpublished edition that details a murder that occurred decades ago. The fact that the story was written but never published peaks the curiosity of the friends, who decide to delve into a cold case that reaches back fifty years. When the truth is discovered they struggle with the ramifications of what they have uncovered. They know that revealing it will rock the small island community to its core. Please comment below to enter the giveaway! Share this post on social media for a second entry; just comment and let us know you did so. Please Note: If you are commenting anonymously, please leave your full Facebook name or email address so that we may contact you in case you win! Non US residents are eligible for the contest, but will receive a Kindle book rather than a physical copy. Winners will be chosen via random number generator on Tuesday, March 17th! I am sharing this on Facebook. I love Kathi Daley and look forward to reading this new title. Grimm's Furry Tail sounds like a good cozy mystery, and the cover is so cute. I have this book on my TBR list. I posted on Pinterest (as Jen Scott) and on Facebook (as JL Scott). Thanks! This is a fun series with great characters. I love all Kathie's books and enjoy all her series. I am sharing on Facebook. Chasdrew@frontier.com or chasdawn123@gmail.com. Another one I can't wait to read. Love all Kathi's books. Thank you Daniele, I just saw your share! this series is new to me!!! Congratulations on another successful release day. Sharing on Facebook. Thank you for sharing Ruth! Would love to win. Shared on Facebook and Twitter. Thank you for your shares Virginia! Thank you for the good books. Thank you for sharing Mary! Another great book and cover,by kathy daley. Thank you for the opperunity to win!!! This new series is particularly fun. I'd love to win. Thanks for the giveaway! I just love this series! I shared this post on twitter as @Suekey12. I share on Facebook and put a picture on Pinterest. Can't wait to read it! Thank you for sharing Patty, and good luck! I've enjoyed reading Kathi's books and hope to add this to my collection. I have read the first two in this series and am anxious to read #3. Thanks for the giveaway! Shared on facebook. I love Kathi's books. Thank you for the chance to win. Thanks for your giveaways! Love all your books! Happy release day, Kathi! LOVE this series....keep up the good work! Thank you for sharing Teresa! I want to read Grimm's Furry Tail, please. Shared on Facebook. I just recently got The Mad Catter, the previous book in this series. Thank you for sharing Michelle! Congrats on your new book! Looks like a great read! Shared on Facebook! Thanks!